Rotherham-based Coptrz, the world's only provider of continuous training for drone pilots, is set to create jobs for the future after receiving a Civil Aviation Authority (CAA) accreditation. Specialising in commercial drones, the firm is a division of high-flying Manvers company, Martek Marine, one of the world leaders in the supply of safety and environmental monitoring systems for the shipping industry. Coptrz has been awarded National Qualified Entity (NQE) status, and can now deliver CAA-approved training to potential commercial drone pilots. The programme incorporates a practical and theory test – and Coptrz is planning to train 1,000 pilots this year to meet growing demand across different sectors. To qualify for NQE status, Coptrz had to undergo a rigorous assessment process, which included a detailed scrutiny of the course content and a live presentation of it to CAA officials. Only drone pilots with a CAA-certified qualification are eligible for a drone licence – the Permission for Commercial Operations (PfCO) – that allows them to work as professional pilots. 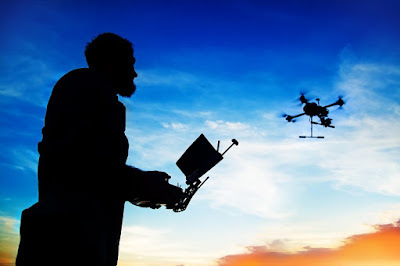 Steve Coulson, managing director Coptrz, said: "Automation means that many jobs are disappearing but being a drone pilot is a job of the future sector where drones aren't being used, from the emergency services to agriculture to engineering. Drones are helping to find bodies in collapsed buildings, identifying crops which aren't growing properly and spraying them, and also radically changing the film industry – there are just so many different scenarios." As well as offering drone training, Coptrz also runs courses aimed at helping drone pilots develop their businesses. "We believe that one certificate doesn't set you up to be a drone pilot," explains Coulson. "That's why we also offer training on all aspects of running a business: marketing, pricing strategy, making money from drones, and using specific software packages and specific jobs - such as surveying, 3D mapping, or using a drone to inspect the inside of a tank or a cellular tower. "Drones are a hugely exciting area with endless possibilities. Now we have our accreditation, we're looking to train 1,000 drone pilots in 2017 and have added new training dates in anticipation of great demand." Since it began trading in May last year, Coptrz has created seven new jobs in Rotherham, and is looking to double that number in the coming months with new roles in sales, customer service, technical and training. Having already turned over around £1m, Coulson added that he is expecting further growth as the market booms. He said: "The commercial drone market will be worth $127 billion worldwide by 2020. We're fully confident that we can outperform the market and we expect to be in the Sunday Times Virgin Fast Track 100 in three years' time."